14932 place | Vector illustration in rank M-rank: Sale, consumerism and people concept. 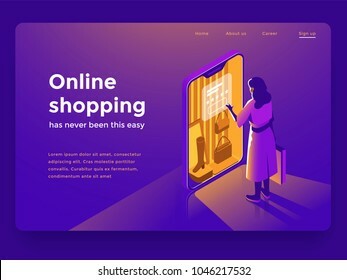 Young woman shop online using smartphone. Landing page template. 3d vector isometric illustration.